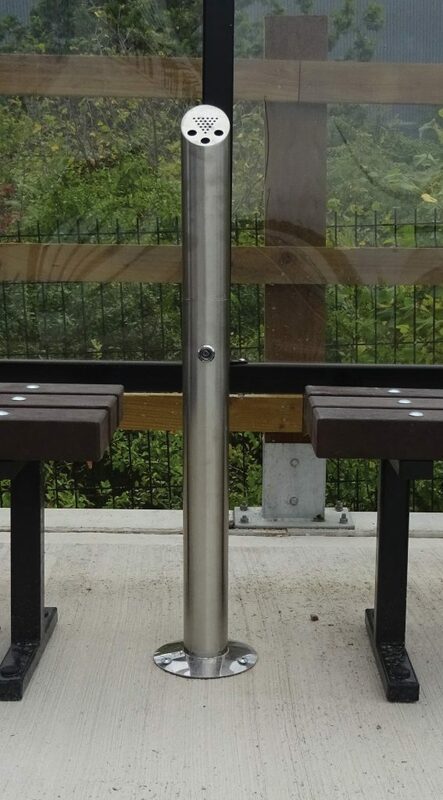 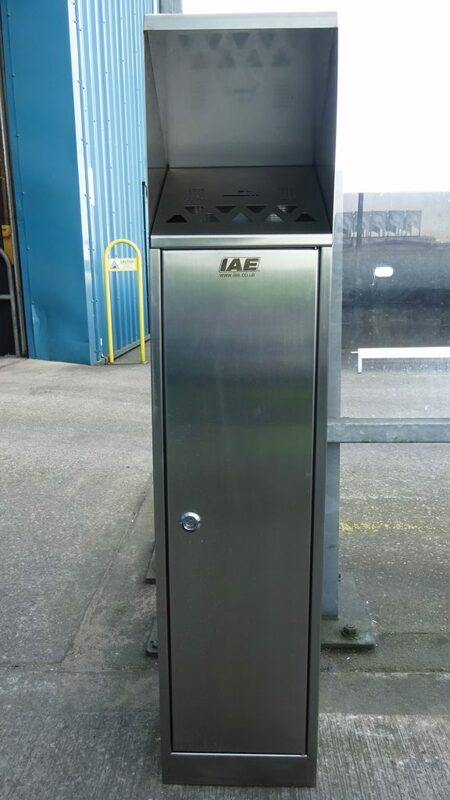 Pyramid Ash Tower – Stainless Steel , separate lift out internal ash collector, locking facility, fixing holes in the base for permanent ground fixing. 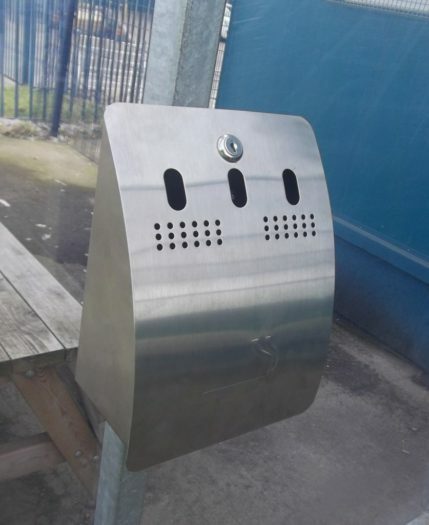 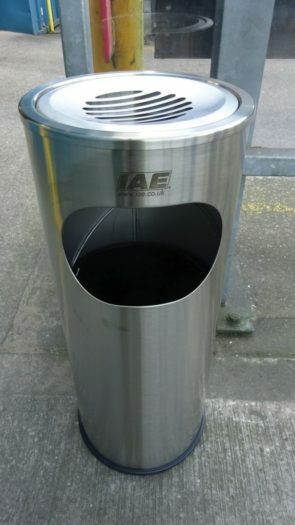 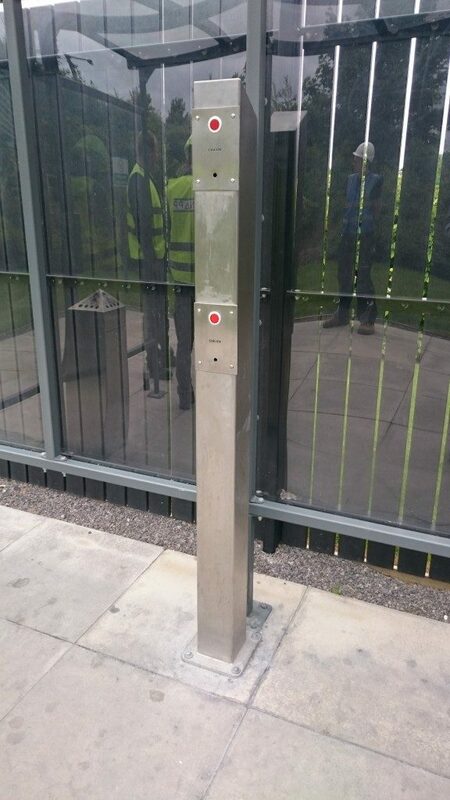 Wall Mounted/Shelter Ashtray – Stainless steel, either wall mounted or mounted onto an IAE shelter. Tubular Ash Tower – Stainless steel, fixing holes in the base for permanent ground fixing.